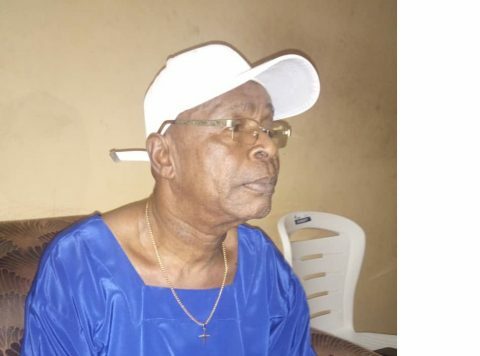 (AFRICAN EXAMINER) – Popular Enugu-based prophet, Anthony Nwoko, has tongue lashed runaway leader of the proscribed Indigenous People of Biafra, IPOB, Mazi Nnamdi Kanu over his utterance that Nigeria’s President, Muhammadu Buhari, has since passed on and replaced by a cloned Sudanese man known as Jubril. He said contrary to the rumour which has since gone viral in the social media, President Buhari is alive, healthy and would see off his tenure in office. 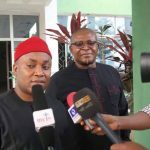 Addressing a press conference in Enugu Monday, on burning national issues in Nigeria, especially as it concerns the Igbo nation, the cleric, said the Kanu committed abomination by such utterances, saying God is annoyed with the IPOB leader for the fake news. The 68-year-old Abia state born prophet who had in the past made some prophesies that came to pass, including defeat of ex-president Good luck Jonathan in 2015, however, apologised to President Buhari on behalf of the Igbo race over the Kanu’s abominable statement. According to him, “Nnamdi Kanu is going around saying that Buhari is dead, but I want to tell the whole world, as a prophet, that Buhari is alive, he will not die. Buhari is healthy and he is the same Buhari from Katsina. He said :”I saw him in the spirit and he is the same Buhari. So, for Nnamdi Kanu to be talking, he has committed an abomination. God is angry with him. Reacting to what the Director of Adoration Ministry, Enugu, Rev. Fr. Ejike Mbaka, said on Sunday concerning the People’s Democratic Party, PDP, presidential candidate, Alhaji Atiku Abubakar and president Buhari of the APC during a harvest thanksgiving in his church, Nwoke, posited that as far as he was concerned, the fire brand Catholic Clergyman, is not a genuine prophet. “For Atiku, tell him bye bye, let him stop putting billboard in Igbo land because he is not going anywhere, the Igbo leaders that endorsed him are canal, they don’t know what the spirit is saying. He added “I want to say it clearly that the last President of PDP extraction is Jonathan, Atiku is going nowhere. 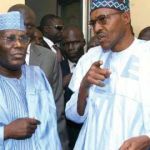 “Very soon, Buhari and Atiku will bow to the glory of God.” ,saying although, Nigerians can not send the president packing via their permanent voters card, but can only happen through God’s intervention. 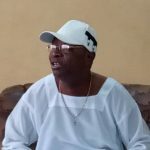 The prophet equally attacked the national chairman of the United Progressive Party, UPP, Chief Chekwas Okorie for recently leading the opposition party to adopt Buhari as its sole candidate in the 2019 election. He said : ” Chekwas is not ‘Ojeozi Ndigbo’, ( messenger of Ndigbo)as he claimed, “he should retrace from his steps…want to also use this medium to warn Nnamdi Kanu to stop his propaganda Israel.